When you’re in business, your ultimate goal is to sell. Let’s not put too fine a point on it. You’ll grab at any opportunity to spread the word about your products and services – and rightly so. We always think there’s some secret weapon to selling, and if we could only figure out what it is, the sales would come rolling in. But there is a secret weapon within your reach. 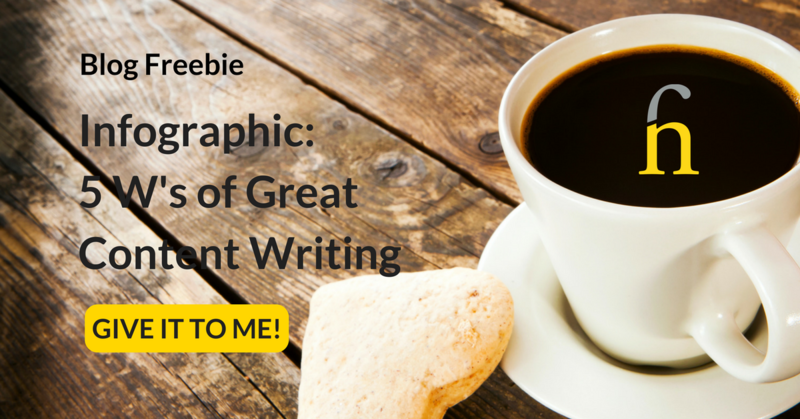 You just need to tell people what you do, with great content writing. Content writing allows you to reach customers where they’re at and develop a relationship with them. Your content will be useful to them, and that helps them build trust in you. It’s this trust that will persuade them to buy. Before you sell, you need to know what to say, and how to say it. I’ve come up with five questions that will help you figure that out. These are the five Ws of great content writing, and they’ll help you create a content strategy that tells you what to say – and how to say it. First, we’ll talk about what to say. Why did you start your business? Easy, you might answer. To make money. But to be successful in business, you need a reason other than money. Your reason, your why, is the foundation stone for your business. It is what gives you a sense of purpose and a mission for your business. If you tell your customers why you started your business, it will help them to connect with you as a person. They’ll be impressed by your passion and your innovative thinking, and they’ll buy into your mission. Here are some good reasons for starting up a business that you can share with your customers in your content writing. You’ve decided to turn something you love into a business, whether it’s upcycling furniture, cheesemaking or number crunching. You have in-depth knowledge in a particular field, such as business practice or presentation skills, and you feel other people could benefit from that knowledge. You’ve seen a gap in the market for a product or service, and you’ve come up with a brilliant solution to fill that gap. You want to be your own boss and decide your own hours. You have a growing family, and you want to balance family life with your business. Now you know why you’re running your business, you need to tell customers what you do. Talk to them about your products and services, and give each one a name that indicates what they’ll get if they buy those products and service. Your customers are coming to you because they have a problem they want you to solve. When you’re telling them about your products and services, explain how you can solve their problems and improve their lives. Your what also covers the ways you go the extra mile for your customers. It’s the little personal touches that give a business the edge. Maybe you throw in extra services as part of the price. Or maybe you deliver your products to the customer’s door. When you write your content, you’ll have the opportunity to tell your customers about those little things you do to make them feel valued. Now we’ll talk about how to organise your content, so it reaches the maximum number of people. Who is going to read the dynamic content that you create? Everybody, you might answer. Well of course, everybody could benefit from your products and services. But there is a particular audience for your content writing, and you need to figure out what that audience is. Then you can tailor the content you write to their needs and interests. Draw up a profile of a person that you think might be interested in reading the content you write. Do they work or are they in education? Knowing these things will help you target the people who are most likely to buy from you. 4. Where Is Your Audience? 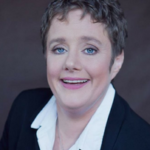 Once you’ve identified who this ideal customer is, you need to know where to find them. See if you can identify what media they use. Where do they get their news from? Local newspaper or radios, or from online sources? Do they chatter on Facebook? Do they put forward a professional image on LinkedIn? Do they tweet regularly, or post pictures on Instagram? The answers to these questions will depend on what type of business you’re running. A youth-oriented business might set up an Instagram account. LinkedIn is great for businesses that offer services to other businesses. Facebook is popular among 35-44 year olds, while Twitter has seen a surge in popularity among the over 50s and more recently the teen bracket. If you get an insight into your customers’ media habits, you can post up your content where they’ll find it. 5. When Will You Write Content? Last, but by no means least, when are you going to post up this quality content? 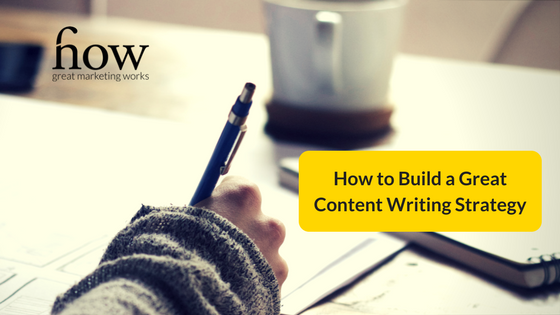 In the whirl of your busy day, content writing can be shoved down the list of priorities. But posting regular content helps you stay front of mind with your customers. And they’ll remember you next time you want to buy. It’s not so much about how often you post your content. The important thing is that you do it consistently. Take a realistic look at your schedule and see where you can fit in time to plan and write content. Some people plan several posts in advance, while others just write from week to week and from day to day. The important thing is that you do it in a way that’s manageable for you. How would you answer these questions? And how will you use them to help you write great content? Watch this space to learn how to use these five Ws to write great blogs, press releases and website content which form part of this series on Writing Great Content.